With our extended winter this year (spring is finally springing in our neck of the woods this week! ), I found myself craving comfort foods to help me get over the cold-weather blues. And for that very same reason, I decided to focus on an American classic for this week’s recipe – one that some might consider a quintessential comfort food. 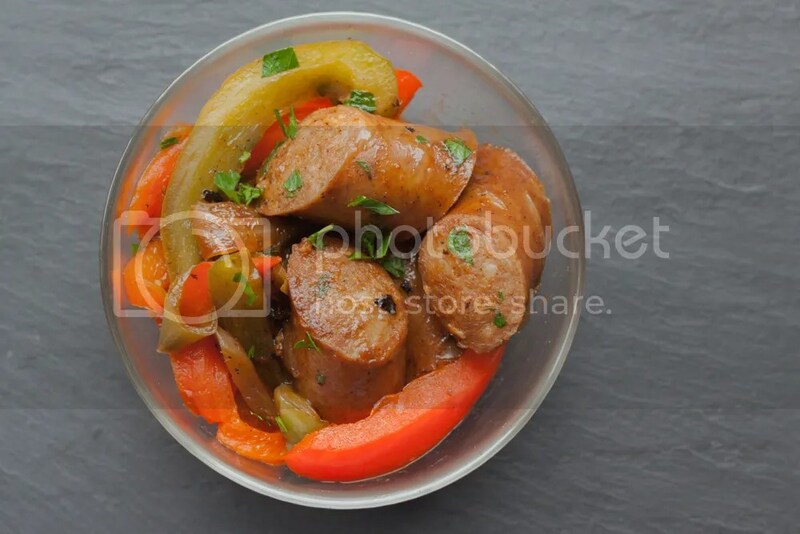 Believe it or not, it’s very hard to find any sort of origin or history around the combination of sausage, peppers and onion. It’s a staple food of Fenway Park, so it must be a Boston thing, right? But others associate it with NYC, and still more with Chicago. All I can say with certainty is that it’s of Italian-American descent, with fairly deep roots, and an easy way to make a quick delicious meal. 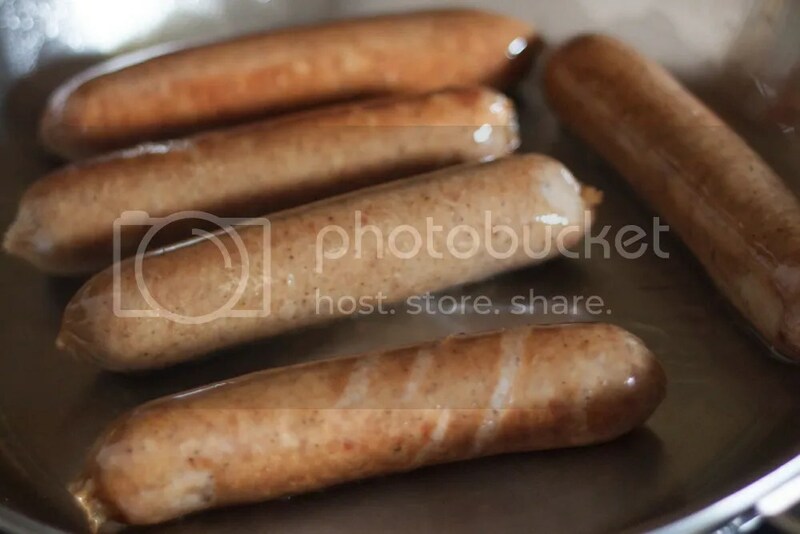 The word “sausage” originally comes from the Latin word salsus, which means “salted.” There is evidence of it being enjoyed in Italy as much as 2,000 years ago. 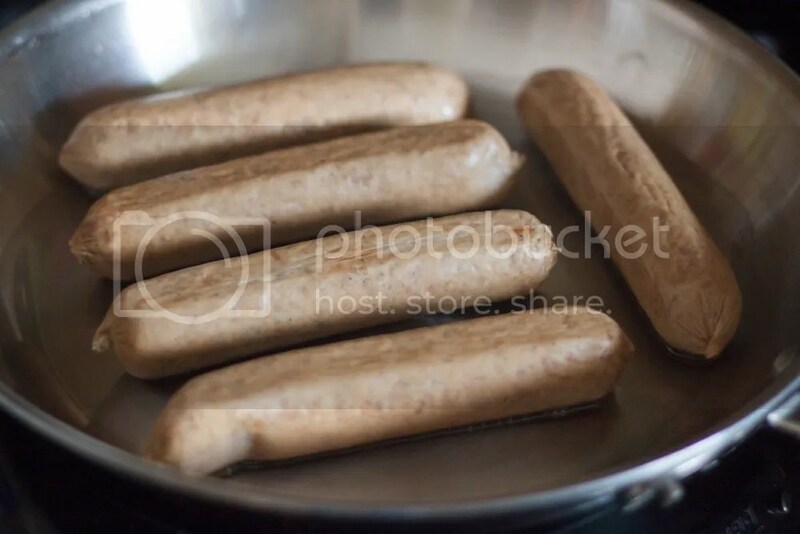 That it has a long culinary existence isn’t so surprising; sausage is a perfect way of making sure every bit of the animal is used, and deliciously so. 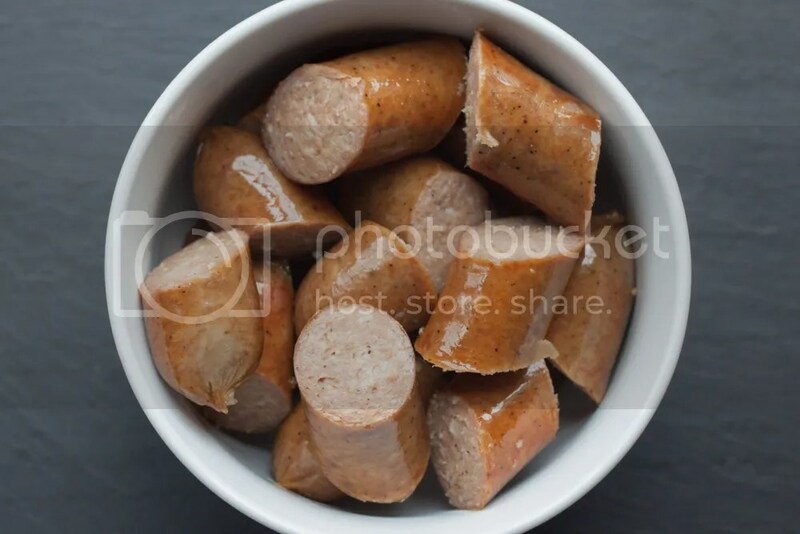 Here in the US, the words “Italian sausage” imply a seasoning based on fennel seeds and anise, and can be sold as either mild or spicy. For this recipe I used some Italian sausages from US Wellness Meats, and they were exactly as I imagined: delicious! 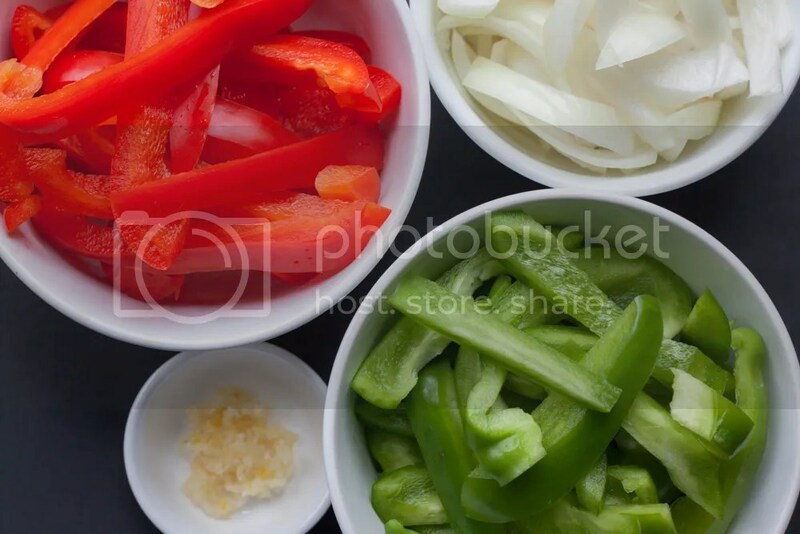 To save yourself time and a headache later, it’s best to prep your peppers, onions, and garlic before starting to cook, so you can just grab them when you need them. 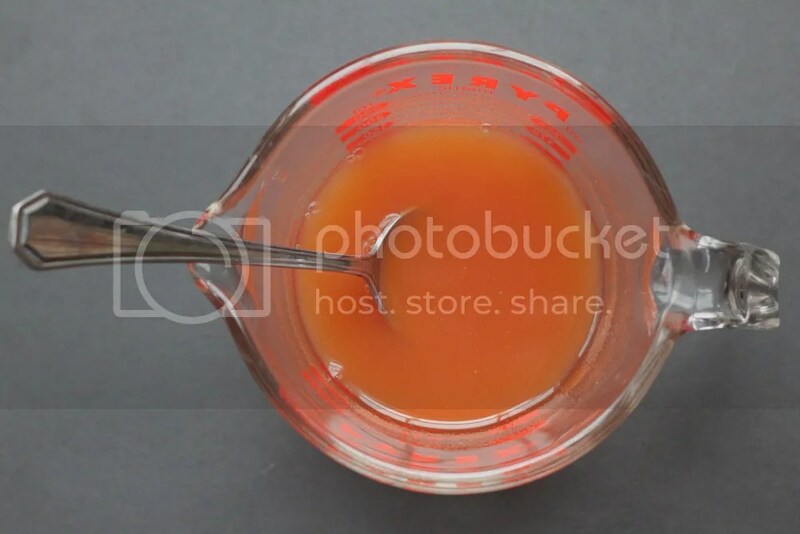 Also mix the tomato paste, chicken broth, and white wine, and set aside. On med/low heat, warm up 1 tbsp olive oil for a couple minutes, then add the sausage. Cook until browned, turning every two minutes. Should take about eight minutes total. Set the sausage aside for now. 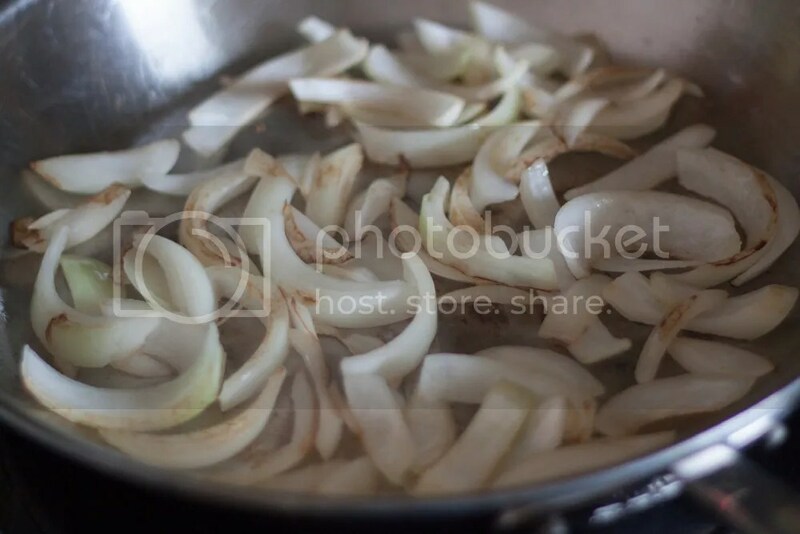 Raise the heat to med/high, then add the onions. Sauté for about three minutes, only stirring once or twice as they cook. You want them to brown/scorch a little bit as they sauté. 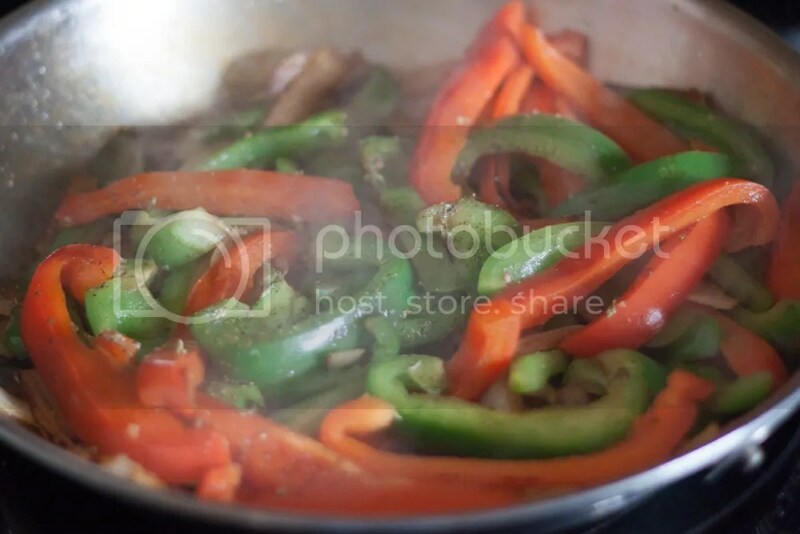 Add the peppers and sauté for another two minutes, again letting them scorch a little bit. 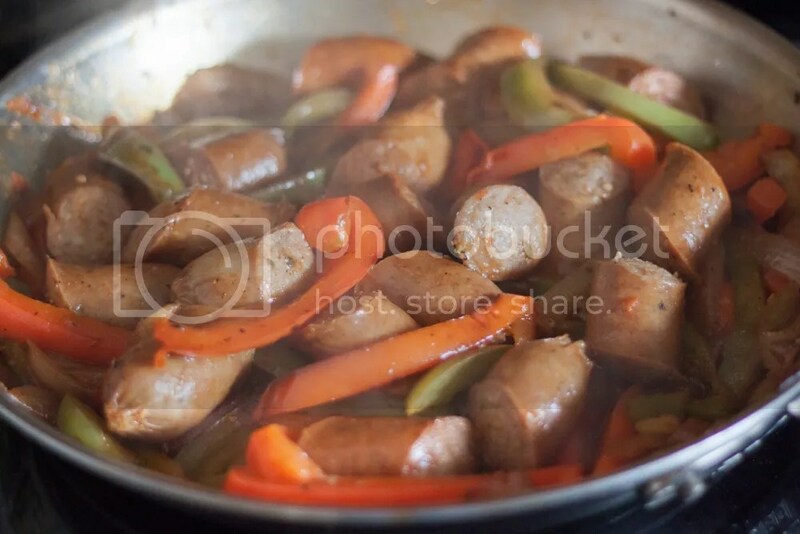 As the peppers cook, the sausage should be cooled enough to handle. Cut them into fourths and set aside. Add the garlic, oregano, salt and pepper, and simmer for another minute. The peppers and onions should be fairly softened by now. Add the tomato paste, white wine, and chicken broth mixture to the pan, mixing everything together. 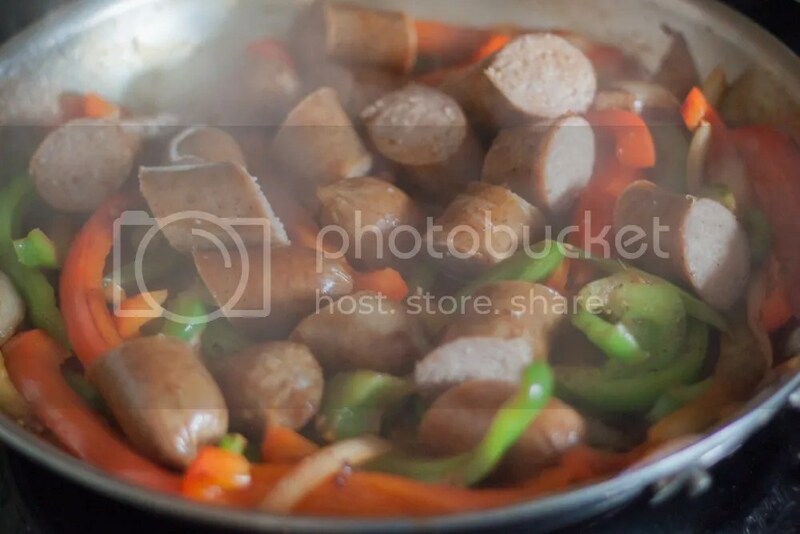 Add the sausage, cover, reduce the heat to med/low, and simmer for ten minutes. 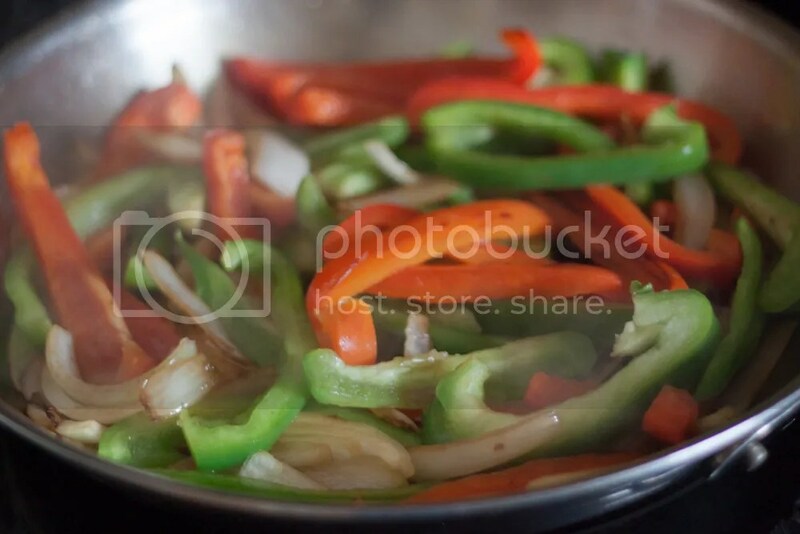 After ten minutes, most of the liquid will have cooked down and the onions and peppers will be nice and soft, and will have a delicious coating to boot. And that’s it! Stir in the chopped parsley, serve, and enjoy. 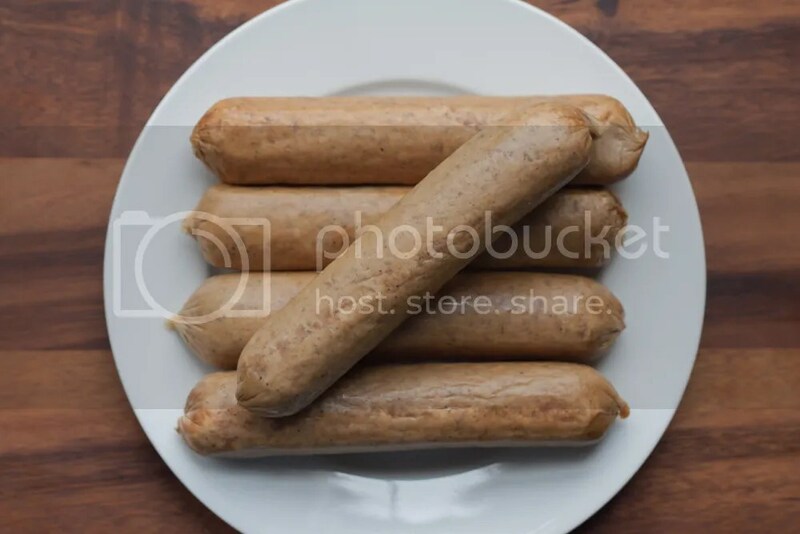 Wow that is such a robust looking dish. Love the colors and the juicy plump sausage. Perfect on its own. Thanks for this. I made a variation with what I had on hand. Bison hotdogs, no wine, added tomatoes, okra, and rice. It was really good. Sounds like a tasty combo, thanks for sharing! I know this is an older recipe but we love it! Now I’m doing a Whole 30 and was wondering if you had a suggestion on what I could use as a substitute for the white wine. Hi Emily, I would use 1 tbsp white wine vinegar (or apple cider vinegar) and 3 tbsp water in place of the 1/4 cup wine.